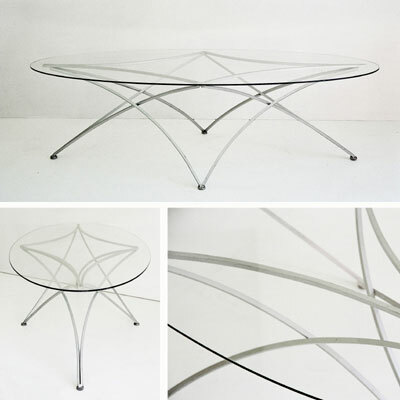 This unique and elegantly designed base can be polished, blackened or sprayed to suit your taste. The shape and size is also made to your specifications so it can be placed in any size room. A different shape or material table top can be selected.